Scotland’s solicitors’ profession has officially turned female as the Law Society in Edinburgh announced yesterday that women outnumbered men in practice. 51 per cent of the 11,000 solicitors are women. 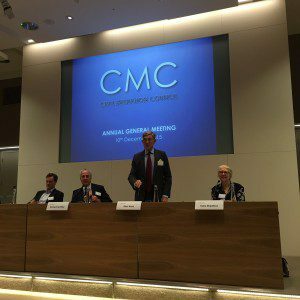 An unspoken issue with civil and commercial mediation is the lack of diversity, particularly at the top. Don’t get me wrong: there are a lot of female mediators, but it is a male dominated profession. The majority of mediators are white middle aged middle class men like myself. I doubt very much that this is a meritocracy. One of the problems is the appointments process whereby mediators are selected on a word of mouth recommendation basis. This reinforces stereotypes and the status quo. It doesn’t help when many lawyers expect a mediator to be grey haired with an “air of gravitas” and to look like a judge. High Court judges have started to see mediation as a nice little retirement job as they cannot return to practice. The lack of judicial diversity is then replicated in the mediation profession. Obviously it is unlawful to discriminate when offering services but can a lawyer discriminate when appointing a mediator? Some panels are almost exclusively middle aged white male. What can be done? As mediation increases in use and is promoted as a cure-all, should mediation panels make it clear that they will promote diversity? In my view the only way to increase diversity is to regulate mediators and for the MOJ and others with lists of mediators open to the public insisting that providers comply with diversity commitments as a precondition to being listed. All ADR providers should have an equality and diversity policy, like ProMediate’s policy. It should also be a requirement for registration with the Civil Mediation Council and certification by a competent authority as an ADR entity.